New and selected writings from Robert Hughes about art, architecture, culture, religion—and himself. Some of its segments are far more polished than others – indeed, some are almost sloppy. Yes, the thing is billed as 'unpublished,' but much of it also often feels unready, which makes it an odd capstone to the publishing history of such a perfectionist as Hughes. This large volume, welcome though it is, is unwieldy. The excerpts from some of Mr. Hughes’s other books — The Fatal Shore, about Australian history, Goya, Barcelona, Rome — rest uneasily next to his criticism and more personal writing. Out of context, these lumps feel undigested. 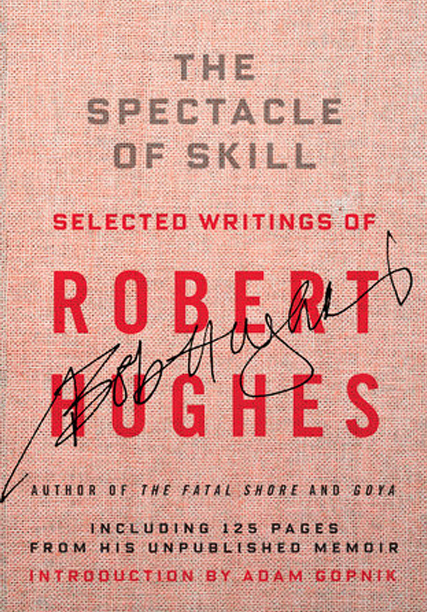 What did you think of The Spectacle of Skill: Selected Writings of Robert Hughes?